SALT LAKE CITY – The Utah Poison Control Center (UPCC) is concerned about a product labeled as “CBD” oil that is being sold at area smoke shops. Since early November, the UPCC has received numerous calls about people becoming ill after using the oil. Adverse effects reported include altered mental status, seizures, confusion, loss of consciousness, and slurred speech. These symptoms are not consistent with CBD oil. Cannabidiol (CBD) is a component of the marijuana plant that is not associated with getting high. It is authorized for restricted medical use in Utah for people with intractable seizures who are diagnosed by a neurologist. Those patients are given a hemp extraction registration card by the state of Utah. 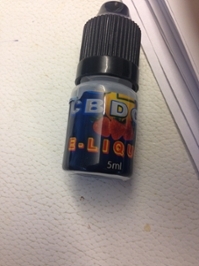 Preliminary analysis of the product labeled as CBD-oil obtained from a case-patient determined that the product, which was purchased from a local smoke shop, is not CBD, but rather a synthetic cannabinoid-like compound. There is concern that synthetic cannabinoid-like products are the cause of the current cluster. The UPCC is working in conjunction with the Utah Department of Health, local health departments, the Public Health Laboratory, the Department of Public Safety and the Utah State Bureau of Investigation to investigate this situation. The UPCC is advising people to discard products labeled as CBD oil purchased at local smoke shops. Anyone who has used the product and is experiencing adverse reactions following inhalation or ingestion of CBD or hemp oil is encouraged to contact the poison control center at 1-800-222-1222.